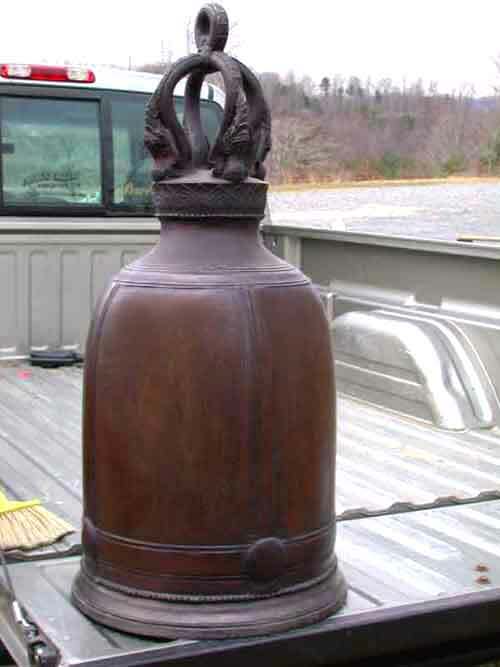 Bronze Bell Traditional Buddhist Temple Zen Feng Shui 15"x33"
This is a very large Bell with a beautiful Booming Tone of E flat. 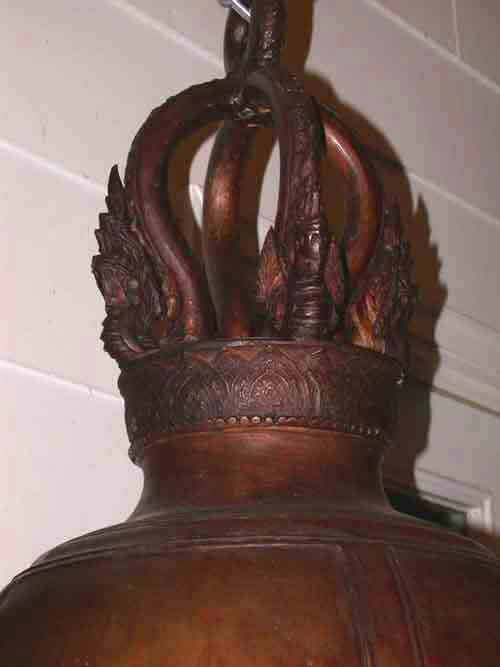 It is approximately 36" tall and 18" diameter. 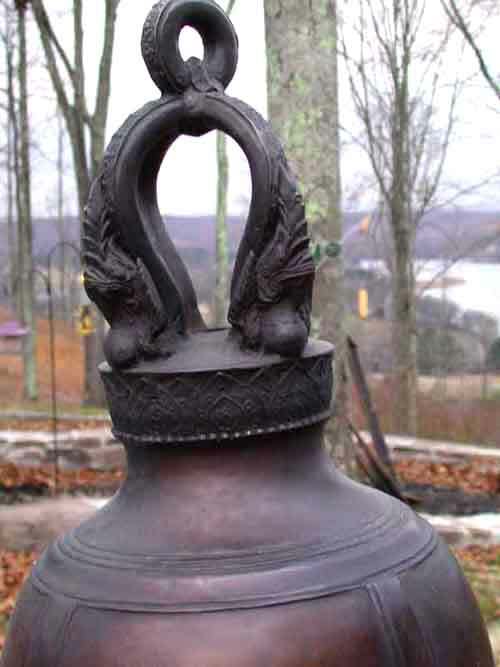 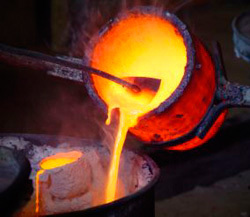 The bronze is 1.5" thick at the base and the weight is approximately 120 pounds. 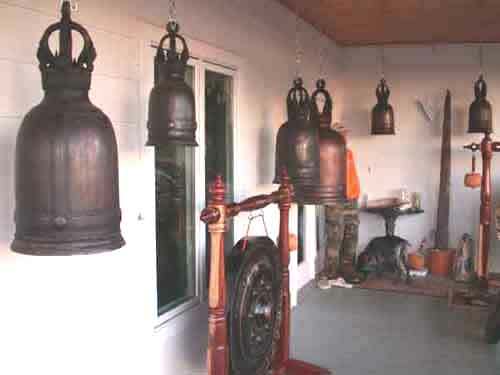 This is a very beautiful bell with exceptional sound. ! 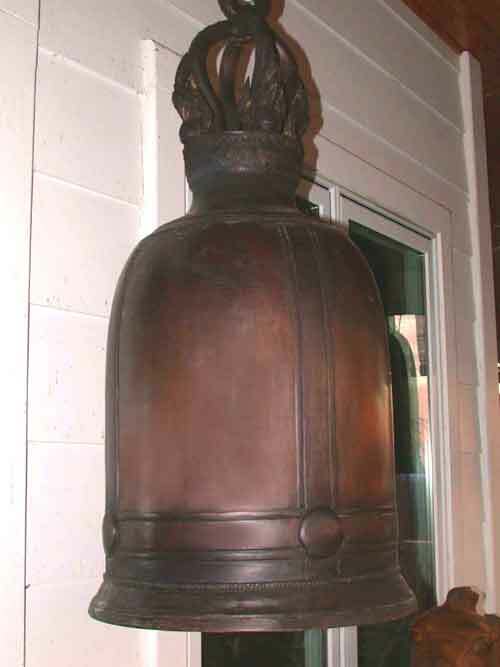 We also have one 18" diameter x 36" tall Bell for $2,695. 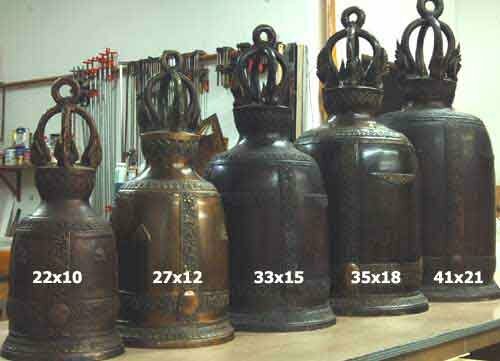 + shipping.